A top Microsoft official in India has revealed expansion plans of the software giant in the country stating that the Redmond-based Windows 10 maker will be focusing on government and small business segment to grow. Microsoft India president Anant Maheshwari said in an interview that the company’s clear focus areas are the SMB and government sectors. Maheshwari valued the overall information technology opportunity in the country at $107 billion. 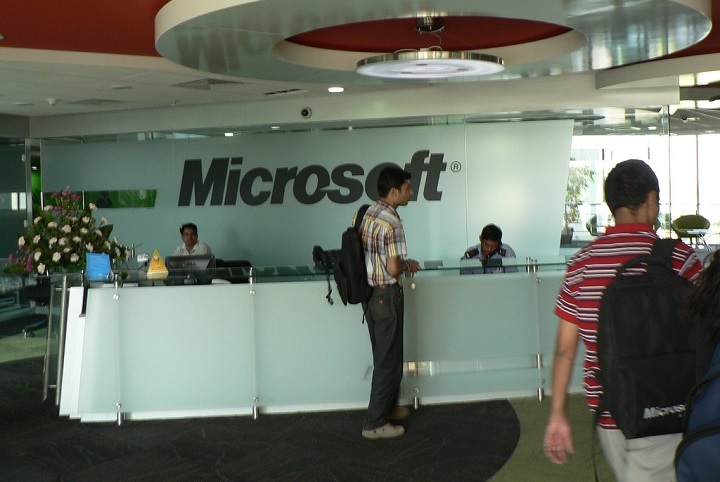 He added that India is part of Microsoft’s top 14 priority regions and is a ‘fast growing’ market for the company. According to Microsoft, they have over 200 thousand enterprise customers in India. As far as government is concerned, Microsoft is serving both the central government and state governments in 29 states. “There may be some challenges as the tax regime transitions, but broadly for me, I would think of GST as a massive opportunity for anybody who is trying to do digital transition,” he said. The issue around visa fees, one of the major concerns for the industry, is not a “significant” topic for the company, he said, underscoring that its view on the issue is in sync with the industry lobby Nasscom. The company’s cloud customer-base has risen in the last few months from India, which will result in a review of the infrastructure capabilities, he said. However, it may not necessarily result in any new data centre or facilities here, he said. “We have seen a very strong uptick on the public cloud in the last six months, which automatically causes us to look at our capacity and our capacity planning going forward,” Maheshwari said.